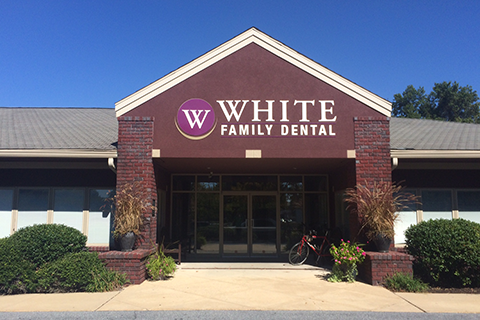 Our beautiful office in Elizabethtown, Pennsylvania, provides all the conveniences you’d expect from a dentist. Entrance | Centrally located in the Elizabethtown College area, we’re easy to get to from Lancaster, Harrisburg, Hershey, and York. 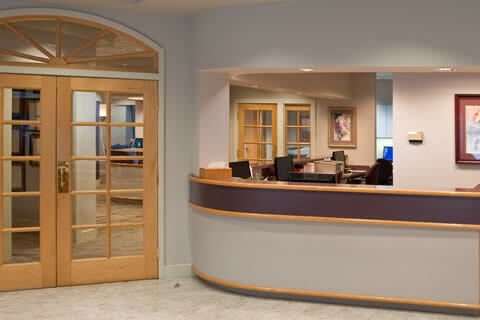 Our office is open to individuals of all ages and is completely handicap-accessible for patients with those needs. 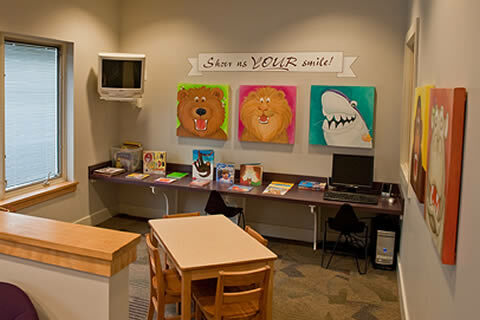 Check In & Reception Desk | A warm and caring greeter will always be here to welcome you when you arrive, checking you in quickly and answering any questions you may have about the latest in dental care. Reception | We schedule appointments so you won’t have to wait long before being seen. But if you’re early please enjoy the television, magazines and newspapers in our comfortable and relaxing reception area. Children’s Reception Area | We love children! 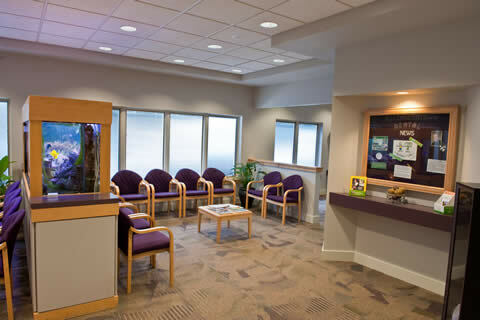 In addition to the patient care from our trained team, we’ve also provided a special reception area for children, including a computer, books, toys, and child-friendly television programming. Treatment Room | Each room of our office is specifically designed for the highest level of comfort and safety. 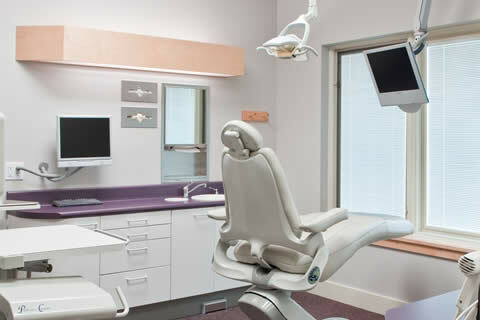 With high-tech intraoral photography and patient education videos, we also include in-room television, headphones, blankets and pillows for a comfortable, even enjoyable, office visit. 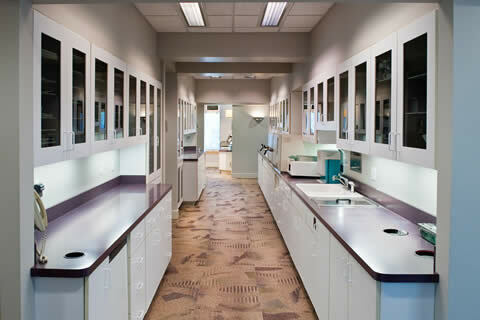 Sterilization Area | Our dental office includes the latest advances in technology for a safe patient visit. Behind the scenes, our sterilization assistants go above and beyond, exceeding all recommendations to protect you and your family.